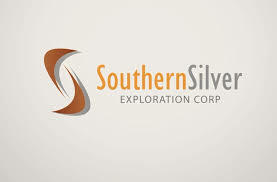 Southern Silver Exploration Corp. (TSX-V: SSV) is pleased to announce that Fundamental Research Corp. – a Vancouver, Canada based investment research company, published an initial equity analyst research report on the Company. The research report dated March 2, 2018 entitled “Southern Silver Exploration Corp. (TSXV: SSV/FSE: SEG1 /OTCQB:SSVFF) – Initiating Coverage: Significant Resource Expansion in Durango, Mexico” was written and produced by FRC’s Vice-President and Head of Research, Siddharth Rajeev, B.Tech, MBA, CFA, as an independent analysis of SSV’s activities and progress. FRC’s research department, headed by Sid Rajeev, has covered over 300 small and micro-cap companies and 150 exempt market/private issuers from a broad array of industries including Energy, Mining, Real Estate and Technology. Sid Rajeev regularly provides media commentary on the valuation of small cap stocks and industries he covers. He also manages the FRC list of Top Picks, which are the stocks under FRC’s coverage in which, he has the highest conviction level. These picks have historically helped FRC to a high rating in various third-party analyst performance rankings. He is also co- author of two online courses including the very successful “Evaluation of Junior Mining Companies for Investment Purposes” which has evolved into classroom courses, seminars, and is in demand at investment conferences across North America. Since 2003, Fundamental Research Corp. has been providing the highest institutional quality equity research coverage on over 250 small and micro-cap public companies through its extensive distribution network. In 2009, it began issuing reports on exempt market securities and has since issued over 80 reports. Its research is being used by some of the largest institutional investors in the world who access it through channels such as Reuters, Capital IQ, the Globe and Mail, and by subscription. In 2010, Fundamental Research’s Top Picks earned it the 3rd highest ranked analyst firm with a return of 20.75% overall and first position in the Basic Materials Sector with a return of 29.07% based on third-party ranking systems that track analysts globally. It continues to rank in the Top Ten in independent third party evaluations on its research, and has developed a reputation for producing high quality reports. Fundamental Research provides high-quality research and adheres to high ethical standards and a strong foundation of integrity. In addition, readers should be aware, and are cautioned, that opinions, estimates, or forecasts contained in research analyst reports are not subject to the requirements of Canadian National Instrument 43-101 “Standards of Disclosure for Mineral Projects” and have not received any endorsement or approval by SSV. As such, SSV does not imply or in any way represent that any of the reports, opinions, estimates, or forecasts regarding SSV made by research analysts complies with NI 43-101 or represent the opinions or beliefs of SSV or its management or representatives.